New Orleans is one of America's most unique cities with its French influence and southern charm! Our hotel is located in the heart of the French Quarter right on Bourbon Street where we'll spend three nights. 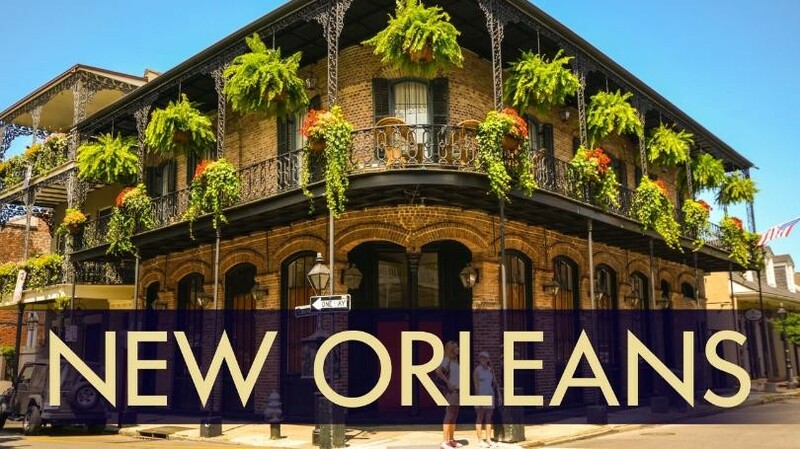 We'll enjoy a wonderful Jazz Brunch at the Court of Two Sisters, breakfast at the hotel, a comprehensive guided tour of the city and a "behind the scenes" tour of Mardi Gras World. You'll have plenty of time to explore on your own the many restaurants, jazz clubs and numerous other local attractions. After three nights in NOLA we'll transfer to the pier where we'll board the Norwegian Getaway for a seven night free style cruise with stops in Cozumel, Roatan, Costa Maya and NCL's private island of Harvest Caye. See separate flyer for more details. Departure times are confirmed closer to departure date.